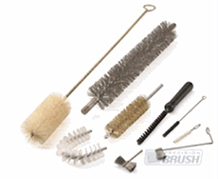 As an industry leader, Precision Brush Company has the technology, expertise and experience to satisfy all of your industrial brush requirements. 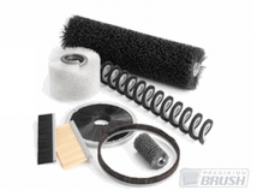 With a virtually limitless combination of specifications, we can customize nearly every aspect of your industrial brush, including brush length, bristle length, stiffness, density, coarseness, fill material and base materials. Our custom brushes can be constructed out of materials that resist certain harsh chemicals, temperature extremes, or both. Conversely, our industrial brushes can be gentle and soft enough to spread confectioner’s sugar on the softest of doughnuts. 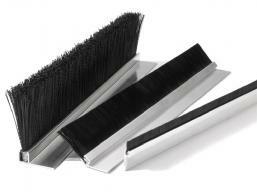 From food processing, steel processing, glass manufacturing, pharmaceutical production and data cable management—we are trusted providers of custom industrial brushes that can handle the demands of nearly any industry. 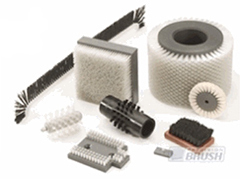 The manufacturing capabilities of the Precision Brush Company have allowed us to offer our clients customized bristle tools for an almost infinite number of industrial brush applications, including but not limited to: metal channel strip brushes, plastic channel strip brushes, twisted wire brushes, brush seals and specialty brushes.